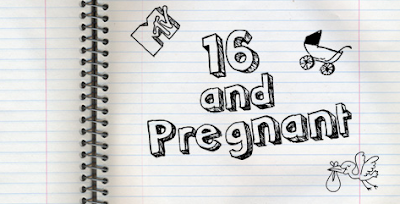 Ok, I so don't condone kids getting pregnant at 16, but I'll admit, this show was my guilty pleasure all summer. My favorite episode was about a girl who decided to give her baby up for adoption. Wow, it was powerful! Me = tears. I work on a lot of pregnancy shows (not this one), so you know if it tugs my heart, it's a good one. It was amazing how this young girl was being unselfish and thinking about her child instead of herself. I really hope this show becomes an adoption advocate. If you want to watch it, click here. Not sure how long that link will work. Also, be warned that the commercials are racy (ie: condoms). Producers note: I loved the graphics and transitions in this show. Great storytelling too.